New: Manage your to-do’s easily with MeisterTask and Mailbutler! MeisterTask is a flexible task management tool designed with the needs of agile project teams in mind. We’re excited to let you know that Mailbutler now integrates with MeisterTask: read on and discover how you can make use of MeisterTask with Mailbutler to streamline your workflow in no time! MeisterTask is an intuitive task management tool that helps teams to easily manage, assign and track task progress. 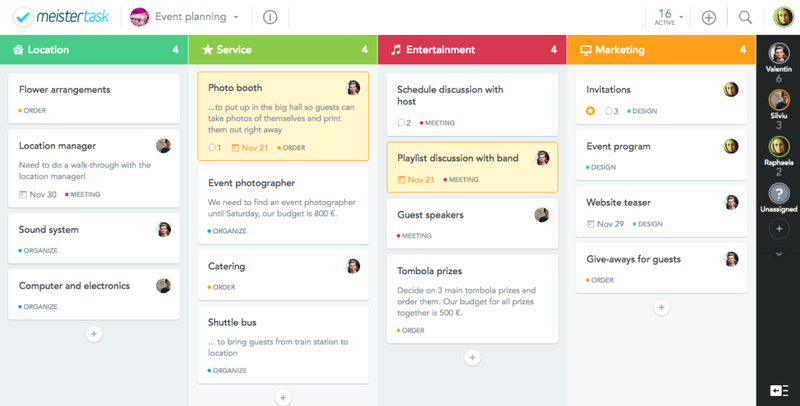 Its flexible project boards accommodate different kind of workflows and team needs, from simple project boards, Kanban systems, and more. With MeisterTask’s integration on Mailbutler, you can easily create a seamless workflow between your inbox and your task manger. In modern work, email and project management go hand-in-hand. As the first step of communication, each email becomes an actionable task that is indispensable from your workflow and project planning. 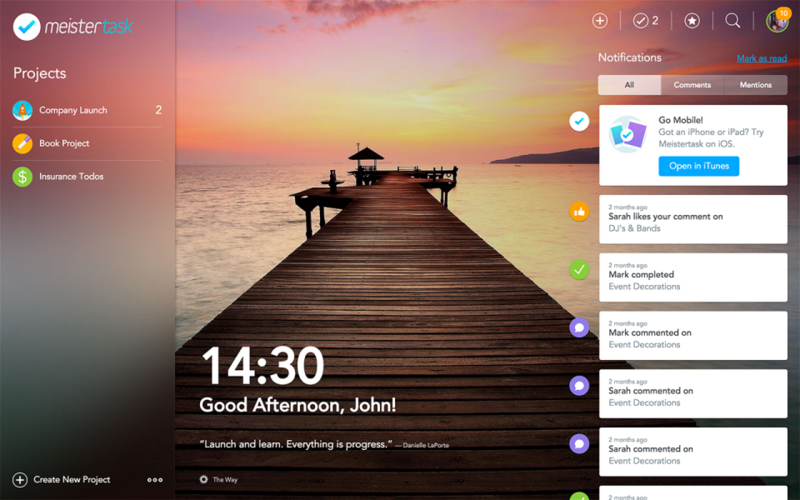 Team productivity can easily be impacted with app-switching, or when there’s no way of linking your inbox to-do’s to your project management app. With our integration with MeisterTask, you can automatically sync progress of your email tasks to any project board on MeisterTask — all without leaving your inbox! Edit, delete, complete your email tasks / reminders anywhere: on Mailbutler Dashboard, in your inbox, or on MeisterTask. 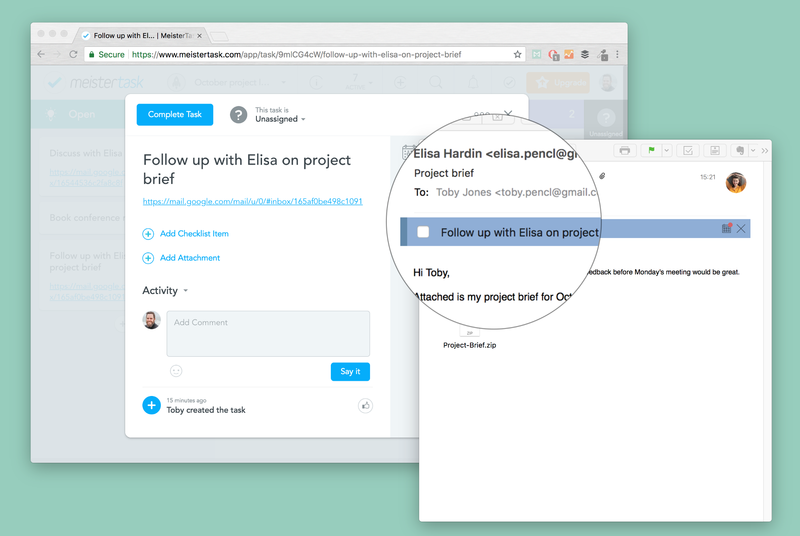 🙌 MeisterTask’s integration with Mailbutler lets you turn your emails into actionable to-do’s which are visible to everyone in the team. 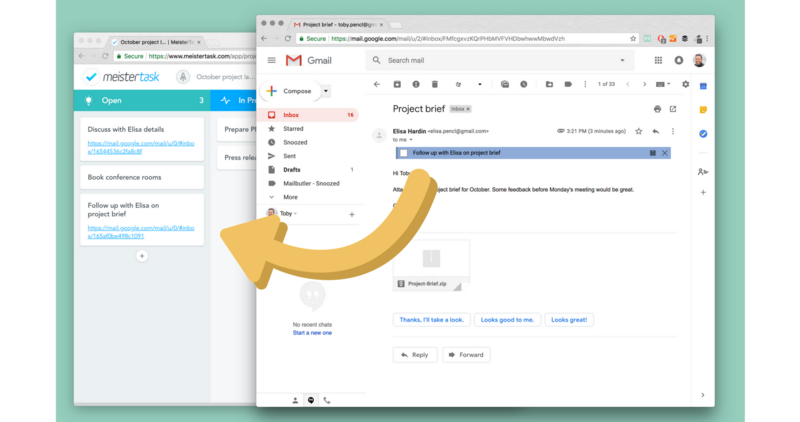 If you’re using multiple email accounts with one Mailbutler account, you can easily sync all your tasks to a shared project board without giving away your email content. Get started with Mailbutler & MeisterTask today! We’re excited to be collaborating with the awesome team from MeisterTask — and as always, we’re more than happy to hear your feedback. Previous PostMailbutler is ready for macOS Mojave!